These are Dscott3262's all time market stats. Damn Gryszzz, I came here to post the exact same thing. "That seller took a wrong turn Paul!" "He might not know that extra thousand is there Bobby!" Hmm it that's sells for $4,500 I wonder what mine is worth since I have very little fade if any. Also, most machines that are advertised as "home use only" generally don't have so much wear around the coin slot. I don't see where its posted as HUO? Guys, its a new member here, cut them a break. Probably came across this site while looking for information and listed it for what they see on ebay. 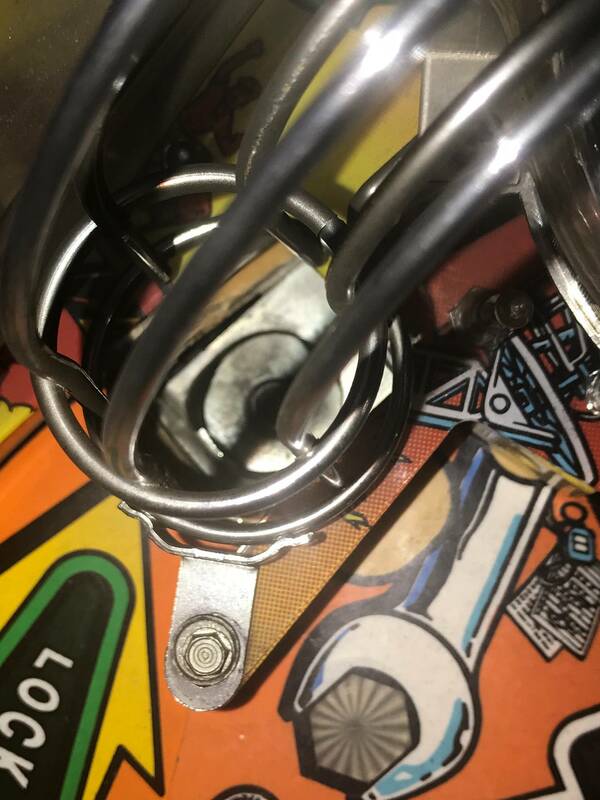 They are clearly not in the pinball hobby and have no idea. I question his statement about "domestic game NOT a re-import" base on the coin door set up. Did Bally ship games in the US with single coin slots? 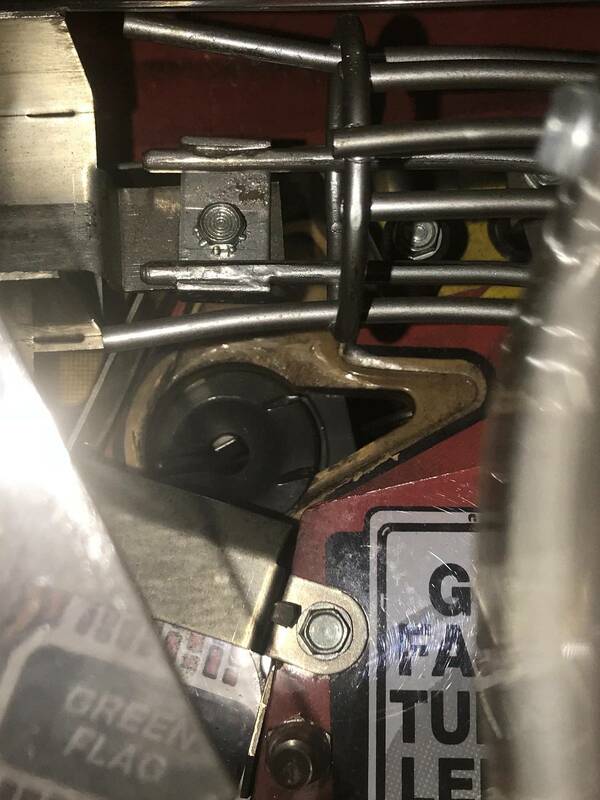 Most machines that are advertised as "domestic game NOT a re-import" don't have a overseas coin door. 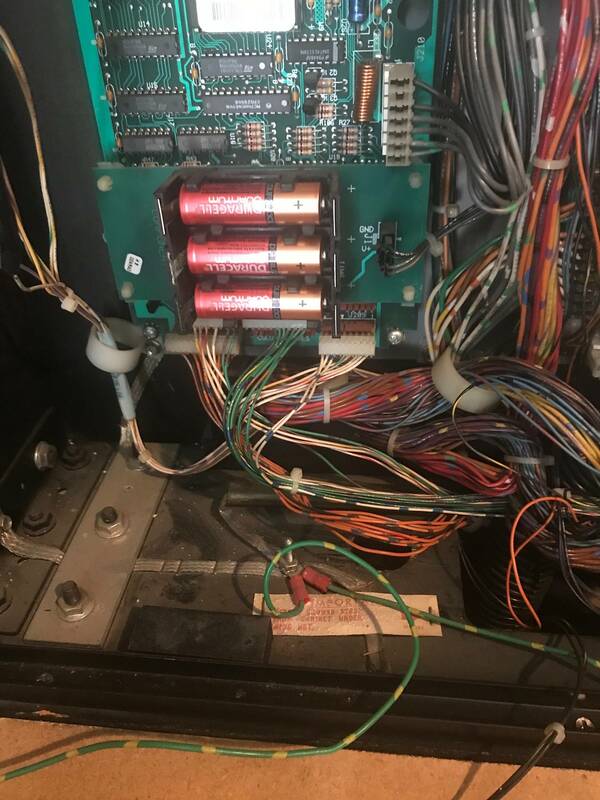 I actually asked a retired operator and he said, with emphasis, that he never saw a US Bally/WMS game offered with a single coin slot. I have a domestic JM with a Euro coin door. Its actually was somewhat common when a router took a game off route to sell to a home person. Many routers want to keep the American coin door with coin mechs for other games on location. Most non-pinside people wouldn't notice the difference. does paint pens come with that price? yeah your probably right,do you know the seller? You know what you guys really know how to make somebody feel welcome ...what a bunch of elitists. I researched the number/amount of these pinball machines that sold in the last two years and averaged to get a price. We did buy this used in 2004 for our home use only. 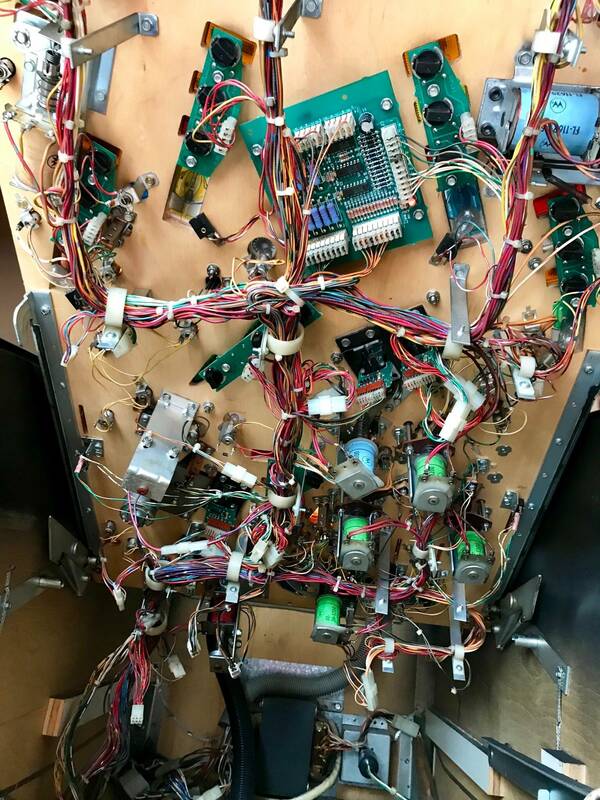 I have no idea Nor do I want to learn based on some of your comments about the pinball hobby. I simply listed this here because I thought there would be some people who would be interested in the machine. Yes it is extremely faded on one side but it was that way when we bought it. I’m getting rid of the machine because we do not play it. One thing you need to realize is that Pinside has been experiencing a lot of scammers within the past year or so. As soon as I saw an above average price and a brand new account, I immediately thought it was a scam. Pay 'em no mind. Price police pop up all the time. Once I put a machine at a high price. Sure enough out they came. Sold in two days though. Buyer didn't even haggle. Shows what they knew. Friendly advice to help you sell; get some more light on the machine and take higher resolution pics with the glass off. 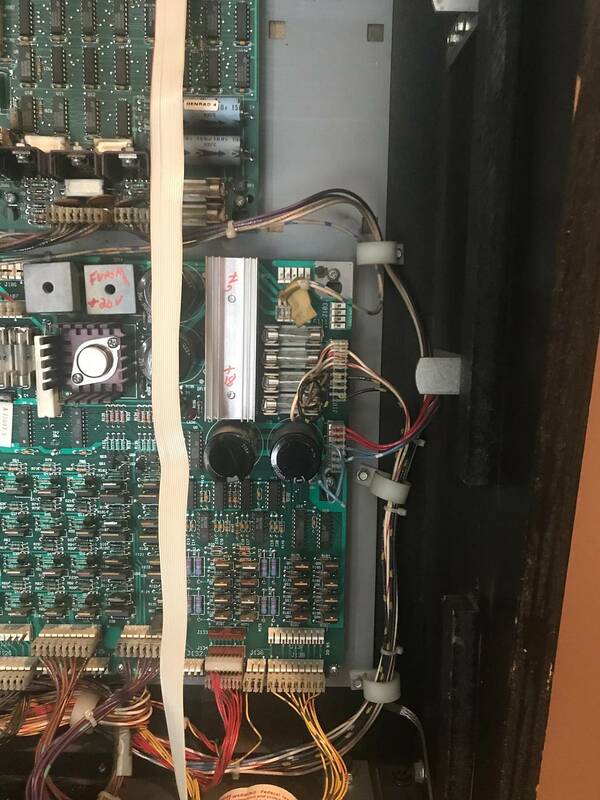 Add pics of the boards and inside the cabinet. Us pinheads can be picky as you see. HUO means never been routed. You probably just meant HUO since you got it in 2004. GLWS! Yes Maestro as I do not know the lingo I meant that we purchased to play in our home..thank you for your help! Sales tip, if it doesn't sell ask yourself why. And while you posted many pics you did not post one of the infamous "shooter lane"
Trust me, if this was a great deal you'd have people driving 15 hrs each way to pick it up with a wad of cash. HUO means never been routed. And "routed" means, put on a vending route at a location somewhere. Home use only basically means it was never in an arcade, bar, pizza shop, or whatever--it means it was used in home for its entire life, and not just after it was removed from a location. 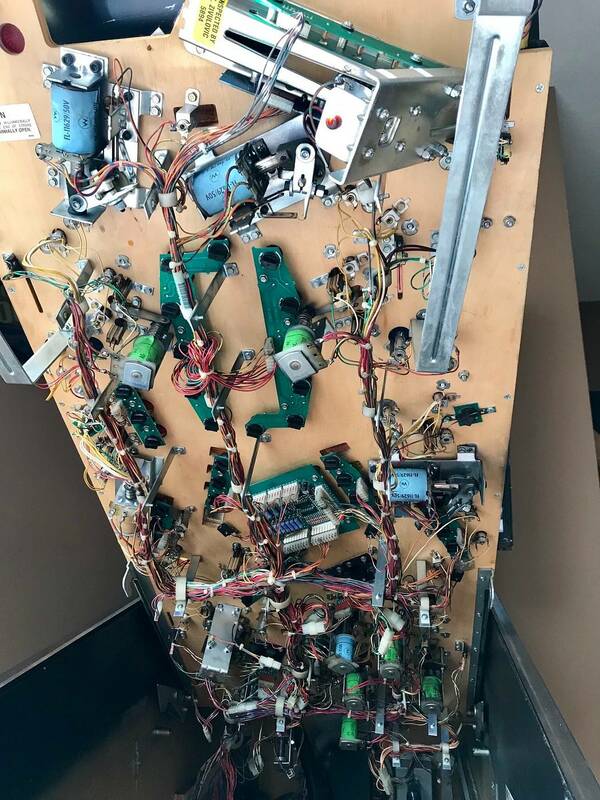 Condition is a big factor in pinball machines, just like any collectible item. Typically, games that were ever only used in a home are typically in very nice condition, with no wear or fade. Games that were routed typically have wear and fade, like this one does. 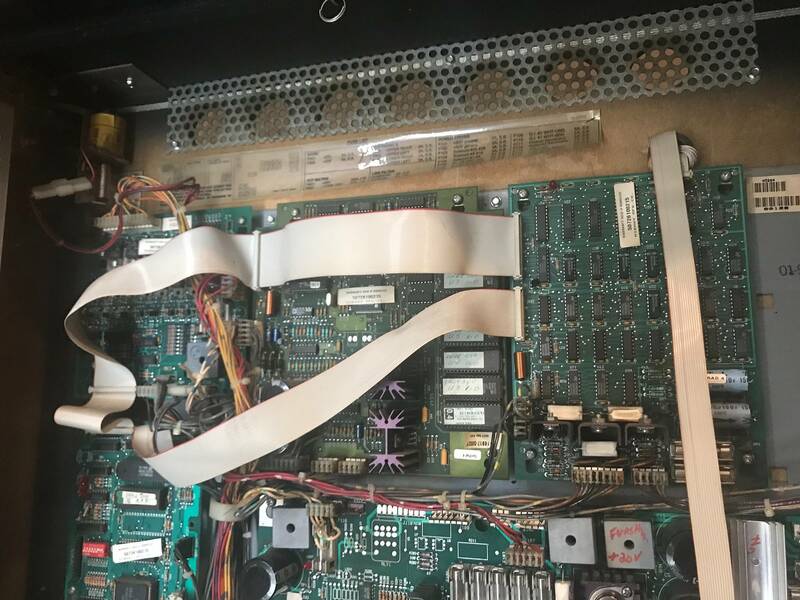 Collectors do generally pay a premium for games that are in exceptional condition, but games with wear, fade, and unshopped will usually fetch a lower price. 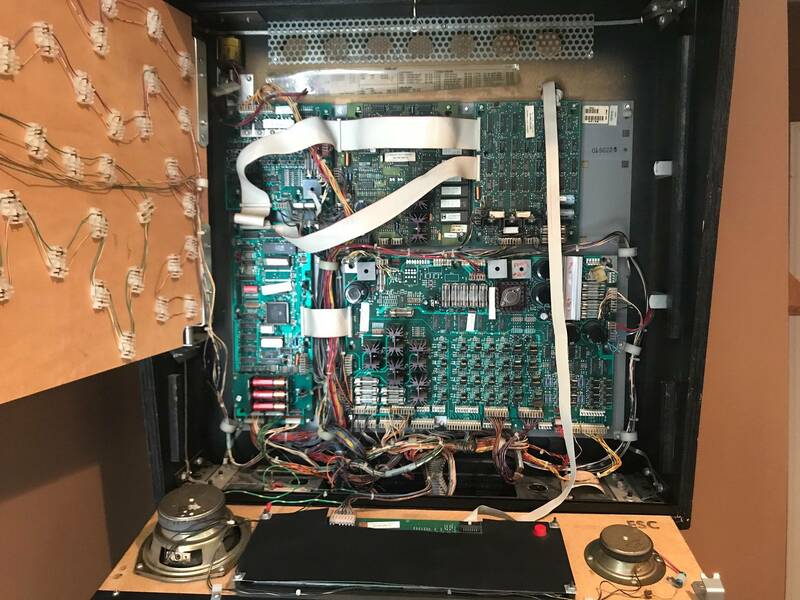 (And "shopped" means the game was cleaned up properly, new rubbers, circuit boards repaired/bullet-proofed, broken parts replaced, flipper assemblies rebuilt, coil sleeves replaced, bulbs replaced or updated to LEDs, and anything else repaired/replaced that needed attention. Most of the pinside ads were for games that were recently "shopped"). 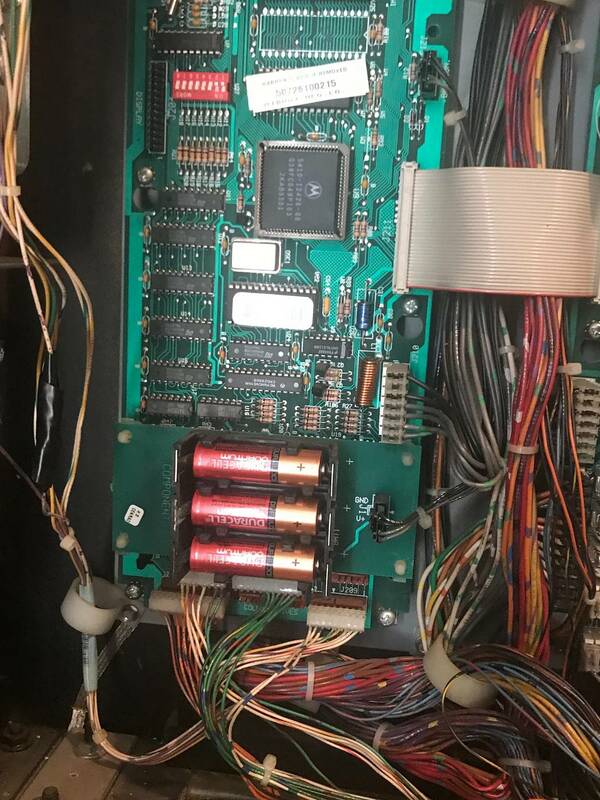 The game you listed was a little above the average price for this title in this condition, has tiny low-resolution photos, and was posted from a new account (all three factors led some people to think it was a fake ad), which is why you had several people not take the ad seriously. Posting better photos at full size would go a long way to help improve your ad.